Graduation is coming, are you prepared? 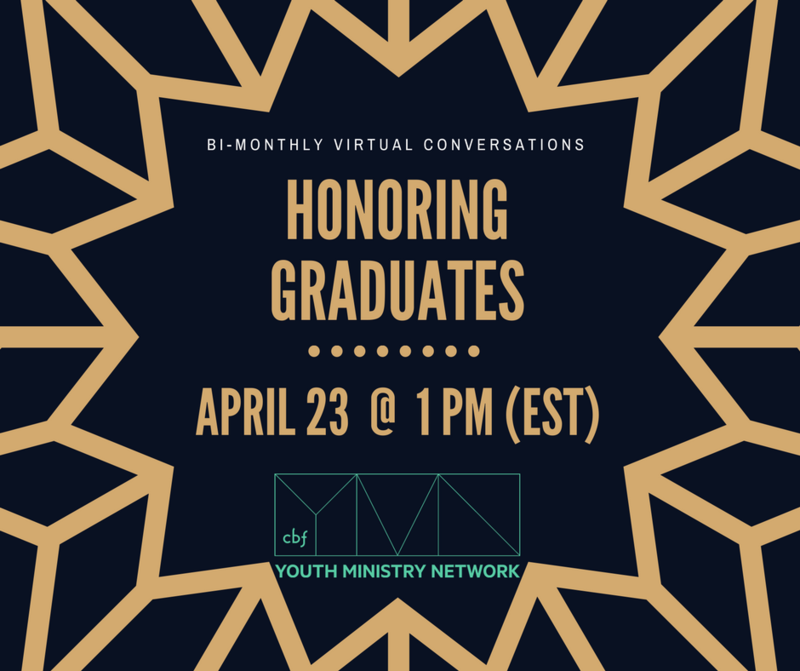 Join us on Monday, April 23 at 1:00 PM as we hear from several leaders in our Youth Ministry Network discuss some of creative ways to honor the graduates in our churches. Participants need to register for this event no later than the morning of April 23. Participants will also need to sign up for a free Zoom account - HERE. All who register will receive an email prior to the meeting with a meeting code. All participants can join us via computer or phone.